This prompted me to think about another very special teacher, my wife Wylene. She taught for 35 years, half in public schools and half as a community college professor of English. 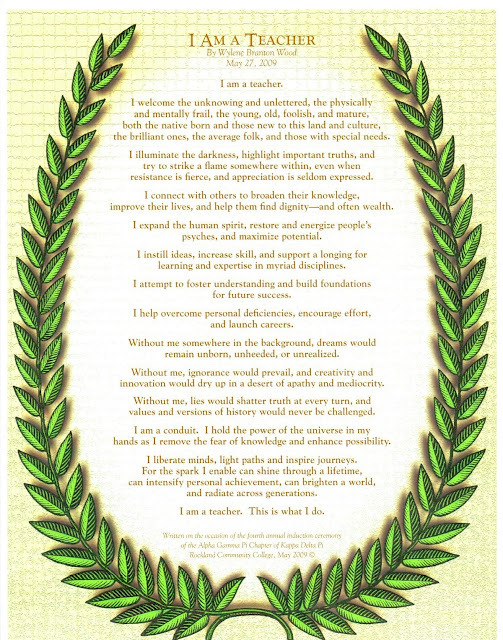 I am pleased to share with you a poem she wrote in 2009 when she spoke at RCC’s fourth annual induction ceremony of the Alpha Gamma Pi Chapter of Kappa Delta Pi, the International Honor Society in Education.